Soap-free AHA cleansing for the whole body. This luxurious Shower Cream contains AHA which removes skin debris and grime. It gently cleanses and tones the skin whilst the jojoba oil nourishes and prevents dryness. 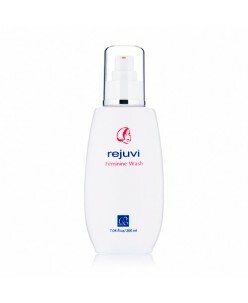 Use Rejuvi Shower Cream in the bath for a relaxing bubble bath or for a fresh invigorating shower which leaves y.. Specially formulated for female's hygiene/sensitive skin. Specially formulated for female's hygiene/sensitive skin. Anti-bacterial Function Soothing and Healing Fresh and Pleasant Feel Hypo-allergic Application: Wash gently and rinse completely. Can be used daily. ..